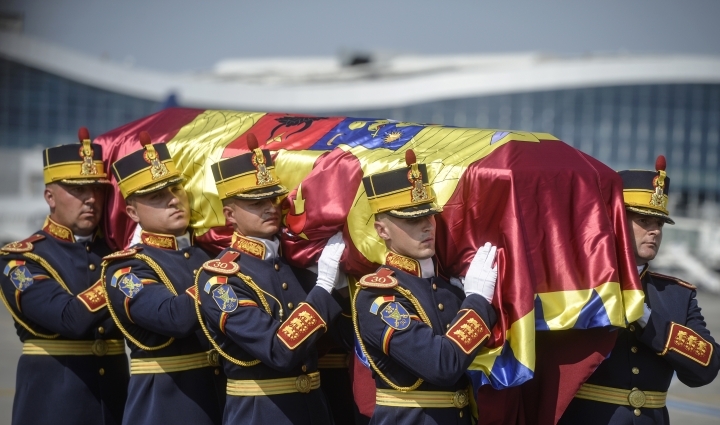 BUCHAREST, Romania — The presidents of Romania and Moldova on Wednesday paid their last respects to Anne of Romania at a 19th-century royal castle amid some criticism about the grand royal funeral. 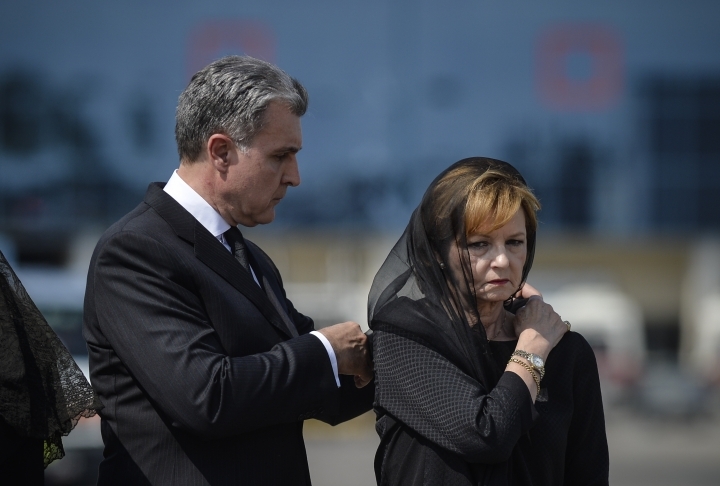 President Klaus Iohannis presented his condolences Wednesday at the Peles Castle in the mountain resort of Sinaia, where the wife of deposed king Michael is lying in state. 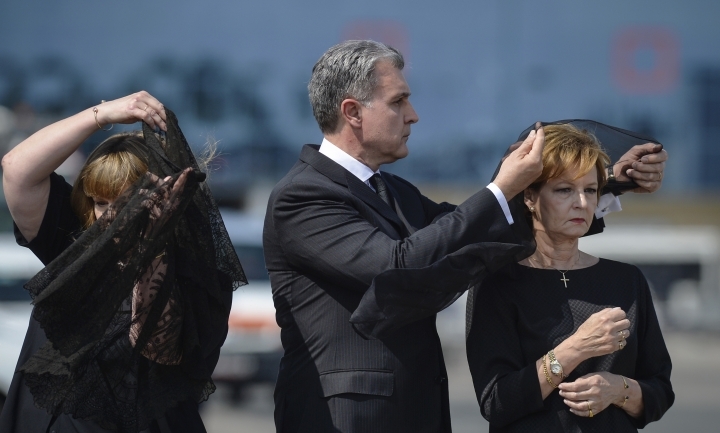 Moldovan President Nicolae Timofti later paid his respects, shaking hands with the couple's oldest daughter, Princess Margareta. Romanian Prime Minister Dacian Ciolos, accompanied by six Cabinet ministers and two deputy prime ministers, laid flowers at the castle later Wednesday. The heads of the Orthodox and Catholic churches are also expected at the castle, with its fairytale turrets, which was built by Romania's first king, Carol I.
Romania and Moldova have declared a day of mourning for Anne, who died Aug. 1 in Switzerland, aged 92. 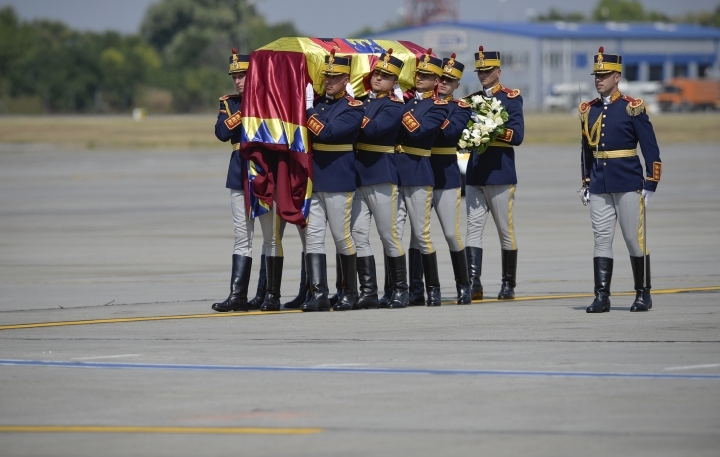 Some, however, have criticized the lavish scale of the official mourning period and funeral, scheduled for Saturday at the Curtea de Arges royal cemetery in central Romania. "This family has no connection to us," said Ramona Pit, a builder. "I heard from my grandmother that when there was a monarchy, people didn't have enough to eat, while they languished in their palaces." Her husband, Mihai Pit, also a builder, disagreed, saying: "It's a question of respect, they looked after our nation." Commentator Stelian Tanase told The Associated Press politicians were guilty of "hypocrisy, demagoguery and duplicitous language," in their gushing praise of Anne after her death. He said they expressed grief "to win political capital." It stands in contrast with hostility shown to Michael in the decades after his forced abdication and after communism ended in 1989. Under communism, "authorities indoctrinated and methodically destroyed King Michael with so many lies," painter Stefan Ciltea, a friend of the royal family, told the AP. Michael was expelled from Romania when he tried to return to visit family graves at Christmas 1990. He and Anne were refused entry at the airport in 1994, and his citizenship was only restored in 1997 after a pro-Western government came to power. This story has been corrected to give the name of the painter as Stefan Ciltea, not Sorin.